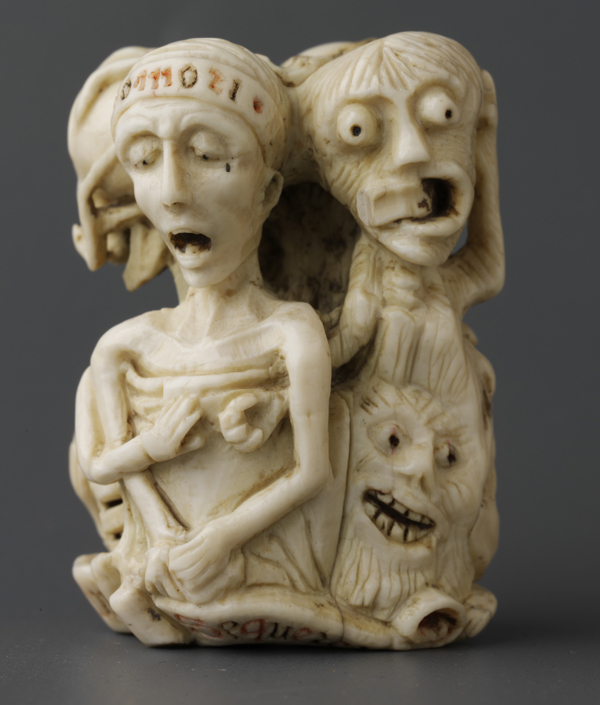 This exhibition constitutes a significant contribution to our understanding of a critical facet of late medieval and early modern culture: the centrality of the macabre. Master S (Alexander van Brugsal? 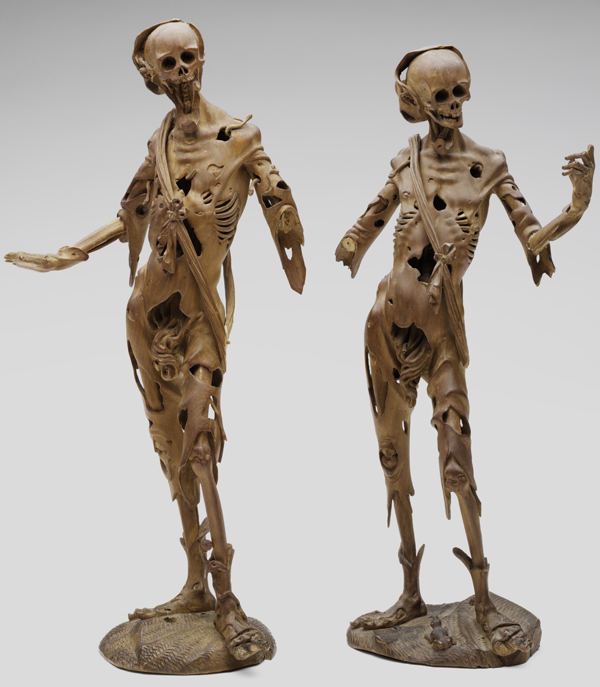 ), Netherlandish, "Memento Mori," ca. 1520, engraving, with contemporary hand coloring. Gift of Linda and David Roth in memory of David P. Becker and Museum Purchase, Lloyd O. and Marjorie Strong Coulter Fund. 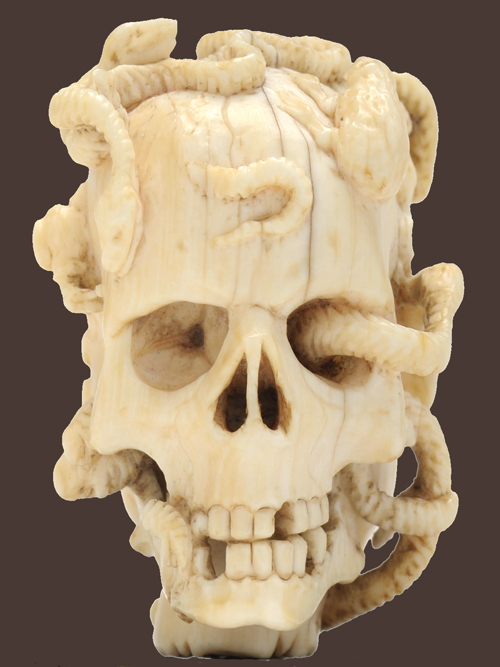 "Memento Mori Prayer Bead," ca. 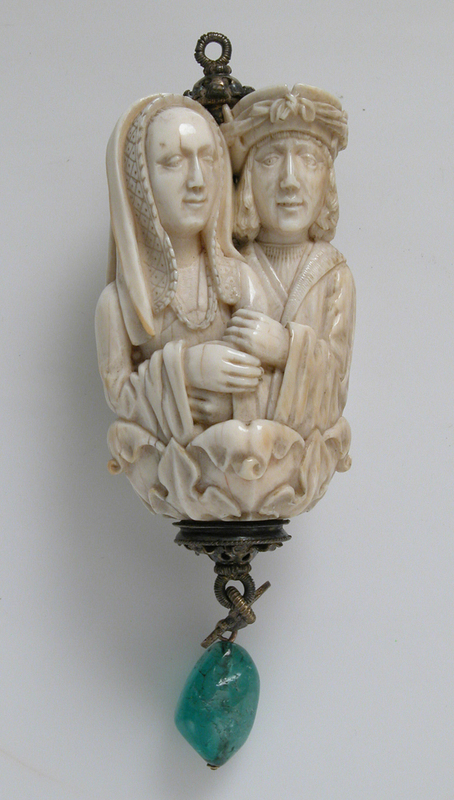 17th century?, German or Netherlandish. Gift of Linda and David Roth in memory of David P. Becker. 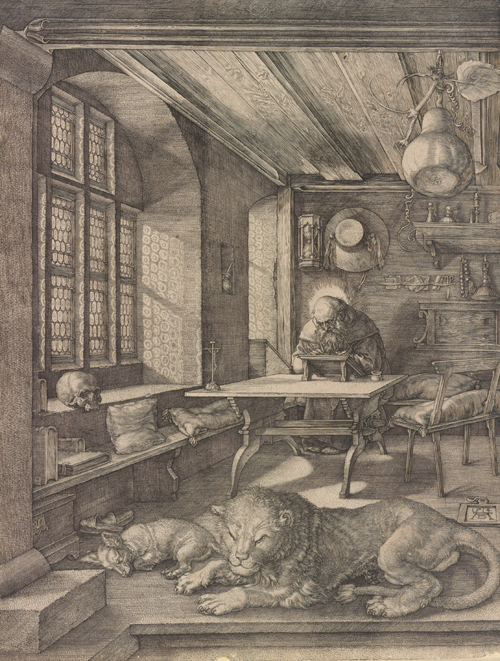 Albrecht Dürer, German," St. Jerome in his Study," 1514, engraving. Bequest of David P. Becker, Class of 1970. Bowdoin College Museum of Art. 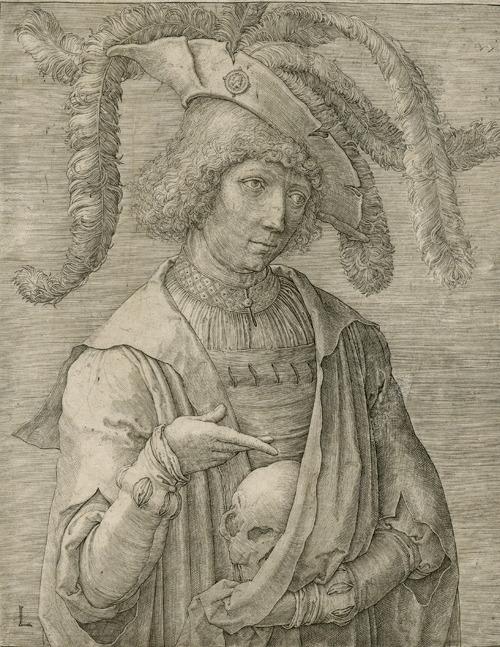 Lucas van Leyden, Netherlandish, "Young Man with a Skull," ca. 1519, engraving. Gift of Charles Pendexter. 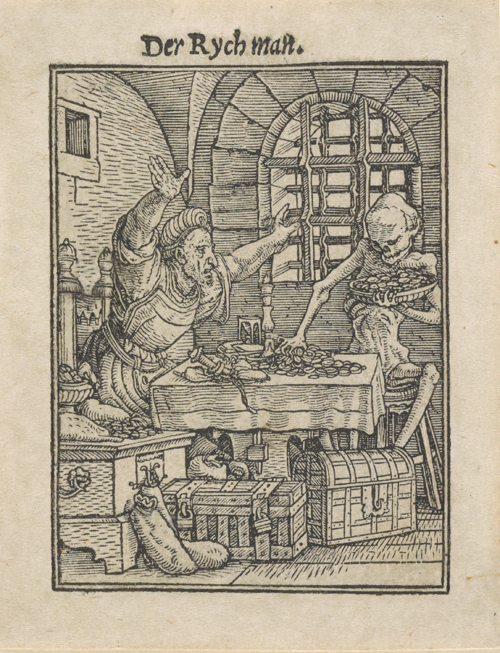 Hans Holbein the Younger, "Death and the Rich Man," ca. 1526, woodcut. Bequest of David P. Becker, Class of 1970. Bowdoin College Museum of Art. 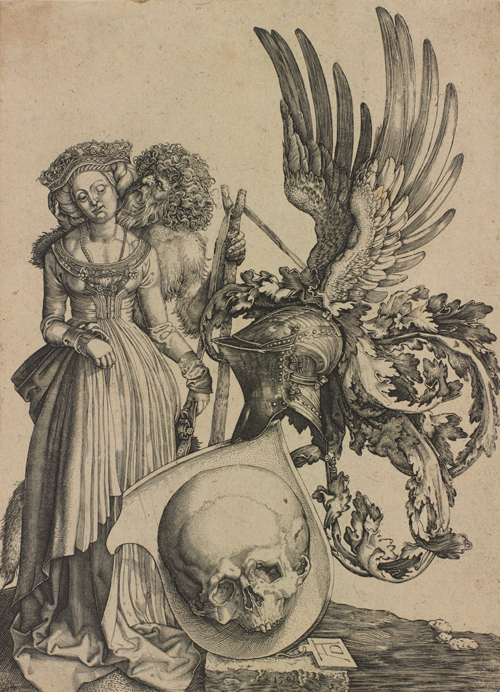 Johan Wierix, Flemish, "The Coat of Arms of Death," 1549-1615, engraving. Museum Purchase. Bowdoin College Museum of Art. 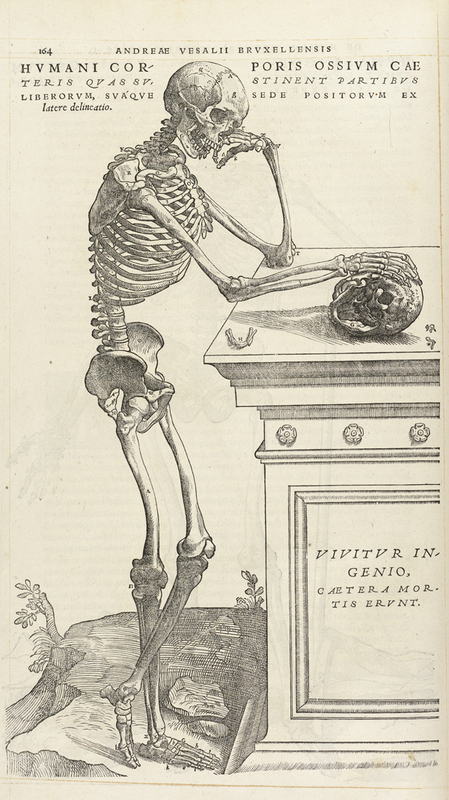 Written by Andreas Vesalius, Southern Netherlandish, 1514–1564, "De humani corporis fabrica libri septem" (Basel: Johannes Oporinus, 1543), printed book with woodcut illustrations. Harvard Medical Library in the Francis A. Countway Library of Medicine. 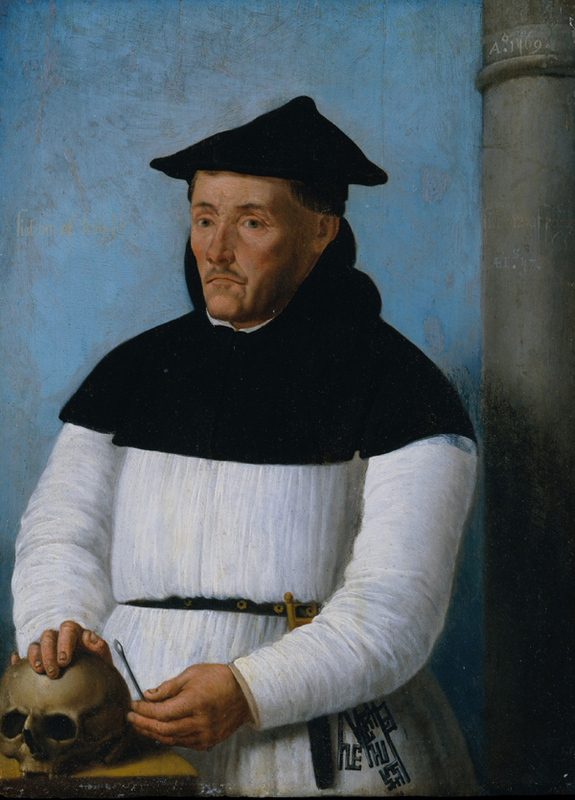 This exhibition represents a significant contribution to our understanding of the rich visual culture of mortality in Renaissance Europe. 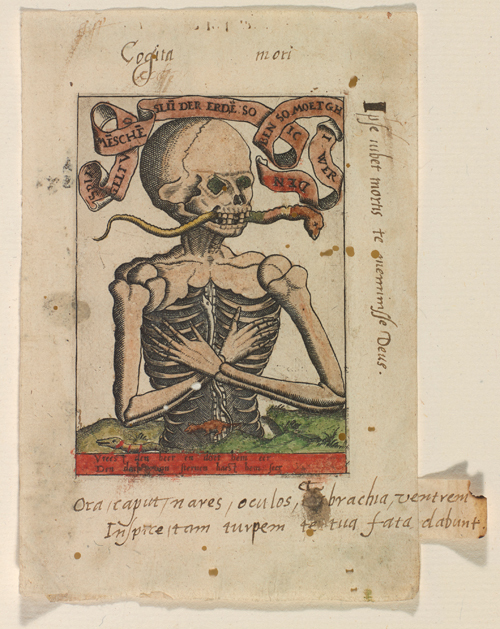 The appeal of the “memento mori,” featuring macabre imagery urging us to “remember death,” reached the apex of its popularity around 1500, when artists treated the theme in innovative and compelling ways. 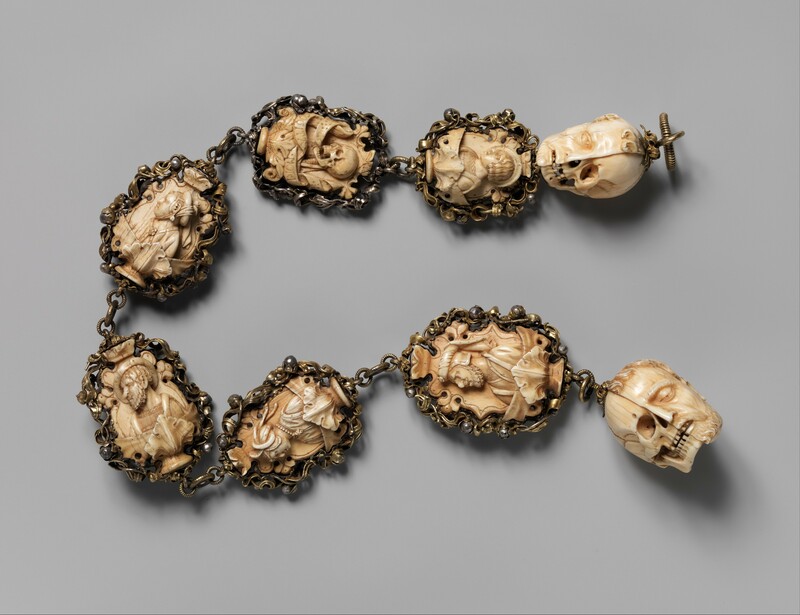 Exquisite artworks—from ivory prayer beads to gem-encrusted jewelry—evoke life’s preciousness and the tension between pleasure and responsibility, then and now. We offer our heartfelt thanks to the many generous funders of this exhibition and catalogue, without whom this undertaking would not be possible. We are deeply grateful for contributions on the part of the Stevens L. Frost Endowment Fund, The Roth Family, Class of 1976 and 2013, the Becker Fund for the Bowdoin College Museum of Art, The Devonwood Foundation, Caroline and Edward Hyman P’10, the Class of 1976 Art Conservation Fund, the Samuel H. Kress Foundation, the Shapell Family Art Fund, the Sylvia E. Ross Fund, Robert Judd and Dr. Cristle Collins Judd, The Cowles Charitable Trust, The Robert Lehman Foundation, the Lowell Innes Fund, Mary K. McGuigan and John F. McGuigan Jr., Thomas ’06 and Hannah Weil McKinley ’08, Svetlana and Eric Silverman ’85, P’19, the Peter M. Small Professorship Fund, the Friends Fund of the Bowdoin College Museum of Art, the Maine Humanities Council, Lady Jill Shaw Ruddock ’77 CBE and Sir Paul Ruddock CBE, Lindsay R. ’95 and Peter Stavros, and the Roy A. Hunt Foundation. 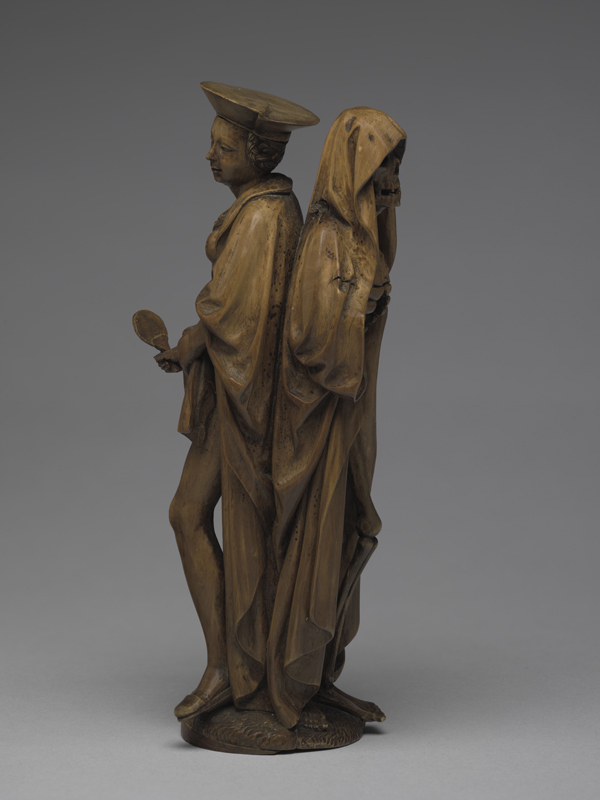 Watch the keynote address, "Lessons for Living: The Macabre in Renaissance Art" delivered by Stephen Perkinson, Peter M. Small Associate Professor of Art History and guest curator for The Ivory Mirror, on June 24, 2017. Watch the panel discussion, "Exhibiting Ivory Today: Historical Artifacts in a Contemporary Context," presented at Bowdoin College on September 13, 2017. Speakers included Stephen J. Knewly Jr., '72, Hahn Loeser & Parks LLP; Genevieve LeMoiong, curator, Peary MacMillan Arctic Museum, Bowdoin College; and Stephen Perkinson, Peter M. Small Associate Professor of Art History and guest curator for The Ivory Mirror. Watch "What is the Work of the Dead," by Thomas Laqueur, Fawcett Distinguished Professor of History at the University of California, Berkeley. Presented at Bowdoin College on September 27, 2017.